The company services comply with international standards of Quality – Security - Safety. Transfer of patients with a team made up of emergency doctors and nurses and resuscitators or the equivalent. MEDICAL EVACUATION: The plane is medicalized, transformed into a flying ambulance after pulling out a few seats and setting up a specially equipped stretcher with bottled oxygen and the logistics required to stabilize the patient’s medical condition. For this activity, the company has a strategic partner – AMA (African Medical Assistance), specialized in medical evacuations and who works with the insurance companies (AXA, SOS INTERNATIONAL etc.). SN2AG has transported patients to Gabon from hospitals throughout Africa, and Europe, and vice versa. AMA has subscribed to the obligatory liability insurance for this activity. Our clientele is varied and made up of diplomats, ministers, soldiers, business people, managing directors of all nationalities, as well as business managers and directors from public and private national and international institutions. The geographic situation of Gabon is very interesting in terms of business development strategy: because of the numerous hospital structures in Gabon and their proximity to the airport. Aircraft rented out to clients upon their request to go where they want, including quality catering services on board. N2AG makes available to their clientele a series of reliable and robust aircraft equipped with the finest and most recent technology in order to meet the needs of various chartering missions. Our aircraft are equipped with the most modern surveillance, navigation and guidance systems: TCAS, EGPWS, GPS, FMS, TRACKING SYSTEM, ELT 406. Reservation and operations service available 24 hours a day. The 2AG Company Maintenance Center is RAG 145 accredited by ANAC – the National Civil Aviation Agency. This involves the equivalence of Part 145 of EASA. The 2AG Maintenance Center is recognize throughout the sub-region. MAINTENANCE: We are attracting new markets and this has spurred a project to obtain EASA-145 certification now being prepared. 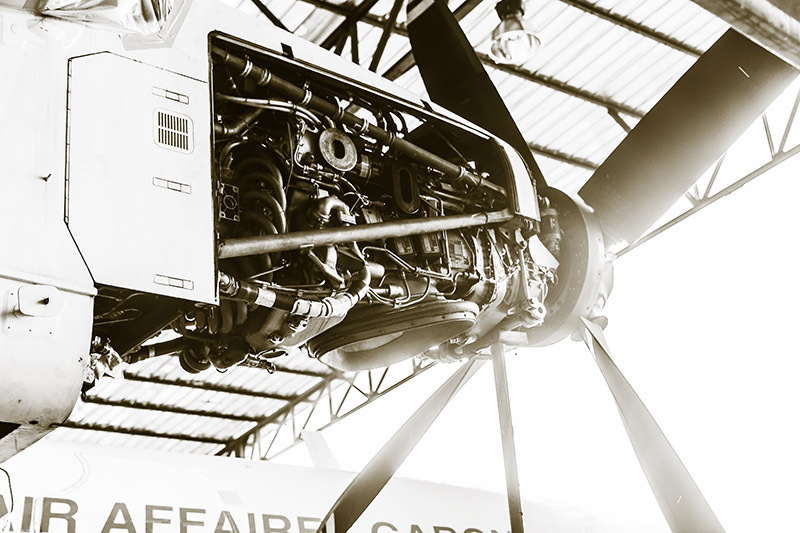 Our reputation and knowledge in the area of maintenance applies the European Aeronautical Standards (EASA), as well as the directives of our aircraft manufacturers. Major overhaul of aircraft and engines, if required, is subcontracted out, to accredited European or American companies, including the aircraft manufacturers. The equipment or planes are then sent or convoyed to the accredited maintenance centers in the United States, Europe or South Africa. 2AG assure the follow-up of the airworthiness of our aircraft through the computerized “International CAMP System. A scrupulous application of the maintenance programs is carried out with secured archiving of the data. Avitec and ANAC in Gabon cover the continuous surveillance of airworthiness of all aircraft. 2AG has a very big stock of spare parts to guarantee continuous flight operations and avoid non programmed technical immobilizations. Over 8000 references of spare parts are kept in stock, allowing us to cover rapid and secured maintenance of our planes, and this is in addition to access to our AOG services. The technical maintenance personnel undergo regular training sessions and are qualified on the types of aircraft operated by the company. The outside training for QT qualifications is covered by accredited training centers in other countries. The programs for maintaining required competency and qualification standards for the maintenance personnel are rigorously applied through refresher courses, human factor training, EWIS, FTS (Fuel Tank Safety), CDCCL, security training, dangerous goods, etc. – A last hangar is used as a shelter for runway equipment and station handling services. The 2AG Company takes the quality of their services very seriously and are constantly moving towards improving their offer and variety for the clientele in order to assure the highest level of comfort and safety to the clientele and their passengers in transit. The services we offer include the following: police formalities, handling and management of luggage, welcome, including the logistics of hotel reservations and car rental. Since Gabon is a hub, Libreville represents a strategic stopover and 2AG, because of our position and structure, already has the criteria of selection observed in Europe for a very high level of satisfaction of our clientele. A VIP room, welcome areas with wifi connections and various services for the comfort of our passengers, a well-equipped meeting room, etc. For certain customers, 2AG takes care of the refueling, proceeds to the weather reporting and flight plans, catering and toilet cleaning services, access to the GPU or access to the VIP room together with wifi are a few of the service offers. SN2AG offers the renting of our planes to our clientele upon their request. These aircraft come with the air crew (ACMI) or without the crew (Dry Lease) and in compliance with the regulatory requirements of ANAC in Gabon.